Group leader of the Hemostasis Research Group at Department of Clinical Chemistry. Professor in Clinical Chemistry at Department of Experimental and Clinical Medicine at Linköping University. MD and senior consultant. Started in hemostasis research as PhD student at Karolinska Institute in Stockholm 1985, PhD 1989. I am doing research in Linköping since 1993, main sponsor at present is the Swedish Research Council and the Swedish Heart-Lung Foundation. 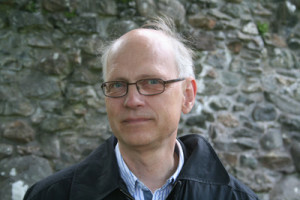 Member of board of the Swedish Society on Thrombosis and Haemostasis (www.ssth.se).